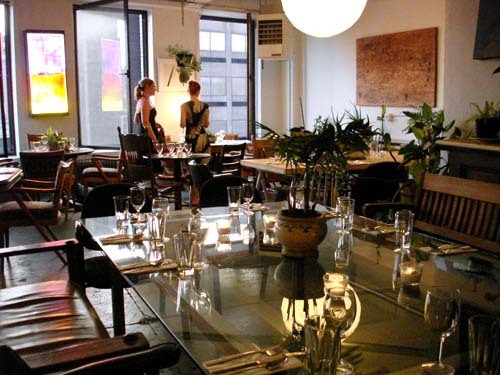 I get it, Green Spaces (location of the supper club this time around) is supposed to be 'green friendly' for 'green entrepreneurs'...but if youre thinking of using the space on a hot, humid August, to serve dinner to guests...please have air conditioning! Fans don't do the trick!! Beautiful place setting, sunset view and eclectic space though...it should be much better in the Fall if Rabbit Mafia continues to use the loft. Anyways, on to the food--luckily enough, Rabbit Mafia serves raw foods during the summer, so every bite was refreshing and helped cool the body down. I love Rabbit Mafia because raw foods is something I would never imagine tasting good. 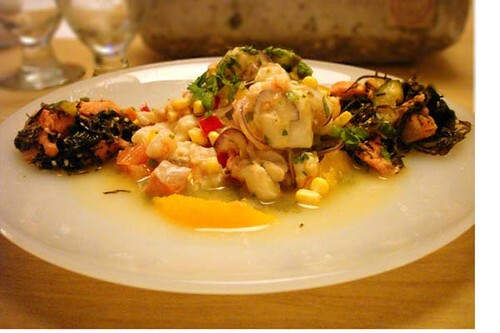 And the combination of fruits, veggies, nuts, seafood are ones that I have never tasted before. 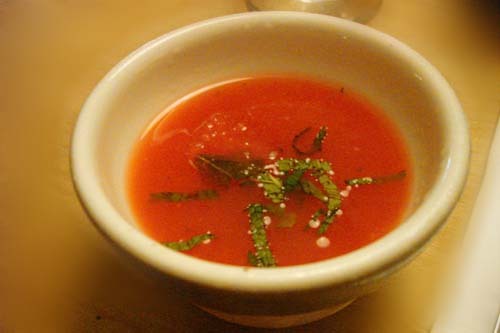 The 3 course dinner started with chilled watermelon-mint soup. The ice cubes were also watermelon! Rabbit Mafia is very generous with portions. Alaskan Weathervane Scallops, Alaskan Rock Fish and Louisiana White Shrimp with a side salad of Wild Alaskan Coho Salmon & pickled sea vegetable. Enjoyed the grapefruit slice + seafood combination the most. OOOOOoooo and dessert by Sweet Potatoe Bakery is my absolute favorite part of the meal! I never feel bad for over indulging. The raw praline crust is probably the best you could ever have! 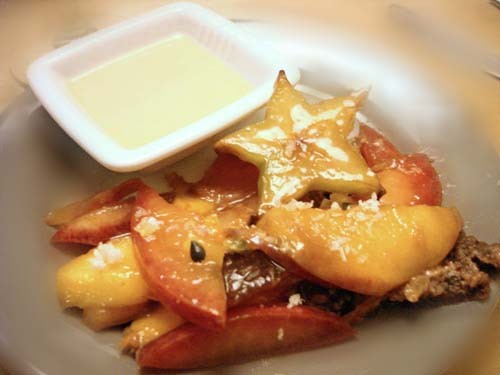 It is topped with fresh plum, peach, star fruit, passion fruit and coconut with side of cashew whipped cream & ginger sorbet. Sorbet melted to soup, but I did not mind.